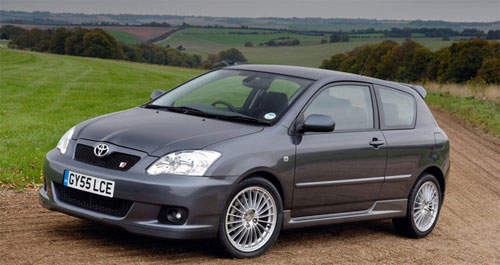 Toyota has launched an updated version of the Toyota Corolla hatch in the place where everyone loves hatches – Europe. 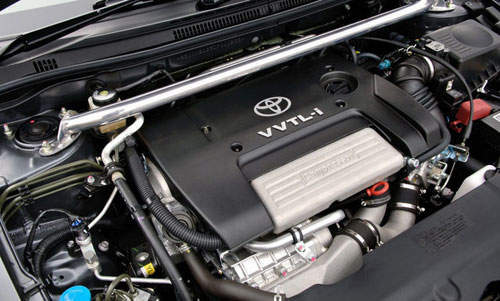 The new Toyota Corolla hatchback, called the “Toyota Corolla Compressor” has a forced inducted version of the 1.8 litre VVTL-i DOHC engine, also found in the Toyota Celica and Lotus Elise. The new supercharged VVTL-i engine gets a power boost up to 215bhp, compared to it’s naturally aspirated brother which makes 189hp. Maximum torque at 4000rpm is 215Nm. If you look carefully, you can see the redline is just a little bit higher than 8000rpm, and the meter goes up to 9000rpm. VVTL-i engines are like VTEC engines, they have two sets of cam profiles. The ‘wild’ cam profile activates at higher rev ranges, and screams on all the way to the 8000rpm redline on this car. Only 250 models are being made available. Pretty limited edition, though you could probably achieve the same power boost over the N/A version with an aftermarket supercharger kit. 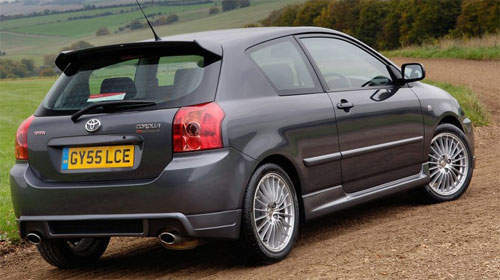 But the car also comes with other goodies like a sports suspension that’s 15mm lower, 17 inch alloy rims wrapped with 215/45/R17 tyres, a rear spoiler and a twin-tailpipe sports exhaust. 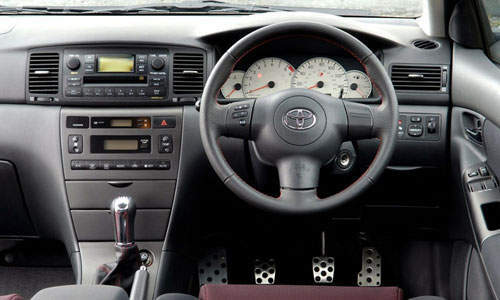 The Toyota Corolla Compressor goes on sale in the UK on 1st November 2005, priced at Â£19,995.